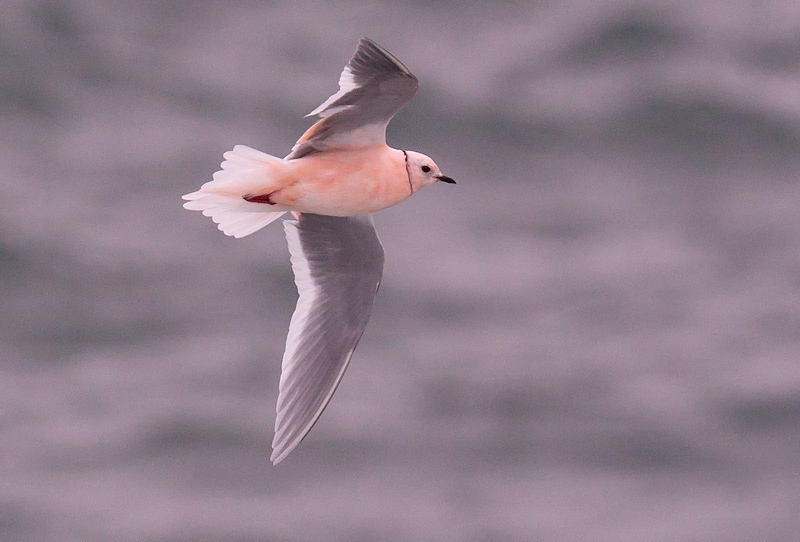 This adult Ross’s Gull, present in Torbay on April 29-30, 2014, was enjoyed by many local birders. Origins: Breeds in the high arctic of northernmost Canada and northeastern Siberia. It winters in the far north and is rarely observed further south. The first record was an adult, shot by a hunter in Fogo on December 18, 1976. An immature was spotted off Trepassey on May 11, 1985. An adult (or possibly 2nd winter) was at Stephenville Crossing on January 3, 1986. An adult was observed ~3km offshore from L’Anse aux Meadows in September 1986. Another adult was present at L’Anse aux Meadows from August 9-11, 1991. An adult was convincingly reported from Cow Head on December 13, 1991. A breeding plumaged adult was observed at Ramea in June 1993. A breeding plumaged adult was seen and photographed at Torbay on April 29-30, 2014.